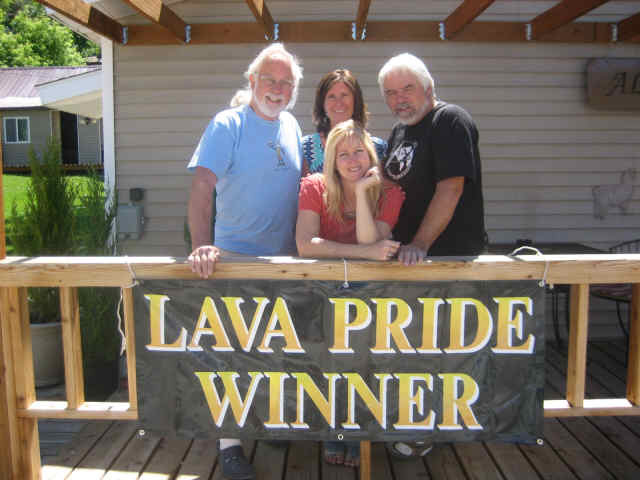 Owned and operated by Londa and Jody Palmer who have made outstanding improvements to their property, providing a quality lodging experience for visitors to Lava. Lava Pride is looking for businesses who put a little extra effort in the appearance and cleanliness of the interior and exterior of their place of business. Taking pride in Lava is what it's all about. Bob Rush, Dan Miles & Kathryn DeMott congratulate Londa Palmer. Lava Pride is a new citizens group dedicated to honoring business or organizations that make Lava a stellar place to live or visit. Appearances will be important, but service and other contributions will also merit recognition. The group is actively seeking members who want Lava Hot Springs to be a delightful and very satisfying little town. Their concept is that small improvements and little perfection can move our city into a stellar place for citizens and visitors. To join the group call Kathryn DeMott at 208-776-5015. Or leave your name with the Home Motel desk clerk 208-776-5507. The first Monthly award for excellence has been awarded to the Alpaca Inn. Londa and Jody Palmer, the owners, have spent a year renovating an existing apartment complex. The 8 units are all new, plush and gorgeous with units from one bed to other units. One of which has a kitchen and sleeping for 9 or more people. However, the real achievement is that they've taken an alley facing property and made a small garden oasis, despite the location. 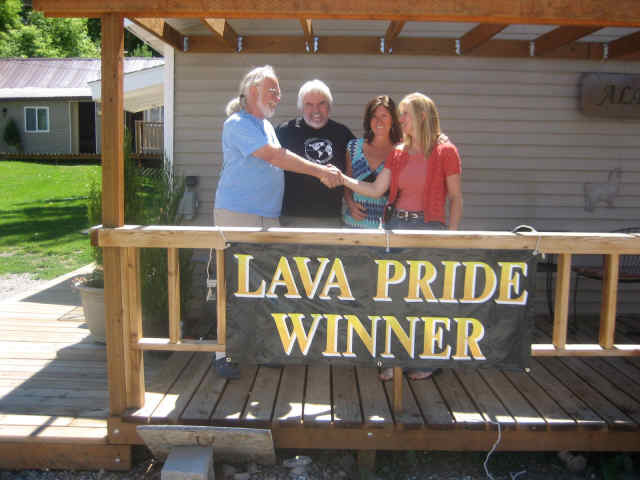 So the Lava Pride Group selects the Alpaca Inn as their first monthly winner. It is located at 90 South 1st East.